Apple's PowerBooks, iBooks, and MacBooks have come a long way in 25 years. In a moment of somewhat unexpected nostalgia at its most recent media event, Apple pointed out that it was the 25th anniversary of the PowerBook. (It’s good to know that, 27 years later, Apple still would rather nobody remember the Mac Portable.) I’ve been a Mac laptop user since the original PowerBook era. That ancient history is my history. Since 1991, Apple has gone through seven distinct eras when it comes to its laptop strategy and design. The original PowerBooks (and, sure, the Mac Portable) used the Mac’s original processor, the Motorola 680x0 series. The first generation of PowerBooks took the world by storm, which is why it’s their anniversary that Apple noted. I distinctly remember a magazine story attentively describing entertainment-industry executive Barry Diller hobnobbing at an L.A. restaurant with his PowerBook on the table in front of him. My first PowerBook was from this era, though it wasn’t in the original generation, but in the second wave, released in 1992. In the fall of 1992 I was a grad student, and my rationale for buying a PowerBook at The Scholars Workstation–UC Berkeley’s campus computer store–was that I could write stories anywhere, not just on my Mac SE back at my apartment. I got the message that my PowerBook 160 (capable of displaying 16 shades of gray!) had arrived for pickup the day after I went home sick for two weeks with mono. It would’ve been the perfect time to break in my PowerBook…but instead I wrote a bunch of short stories in longhand. This era also saw the introduction of the PowerBook Duo, one of the most interesting Macs ever made. It was a legitimately small laptop–4.1 pounds, in 1992!–and was Apple’s only real experimentation with the idea of a laptop with a docking station. The Duo Dock sucked in the laptop (sort of like a front-loading VCR…you remember those, right?) and connected it to an external display, expansion cards, a video card, and even a processor upgrade. 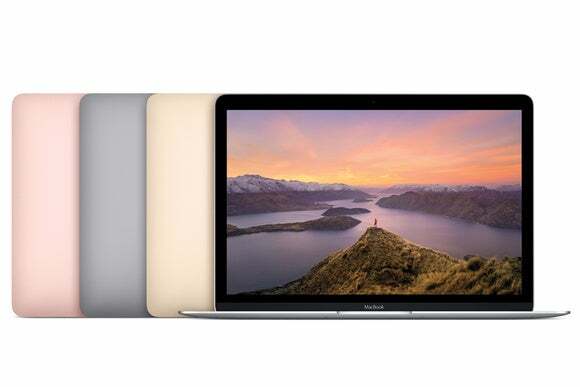 Though the Duo was unlike any Mac ever made, its successors include the MacBook Air and the one-port Retina MacBook. The utterly amazing PowerBook Duo. 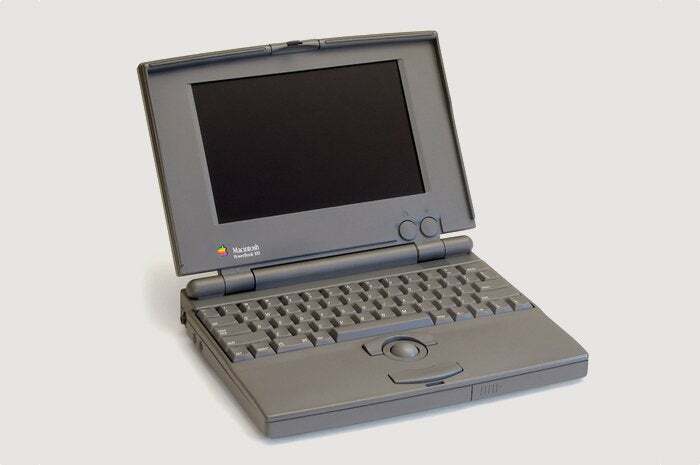 The PowerBook 500 series, code-named “Blackbird,” was Apple’s first major PowerBook redesign. I know people who loved those laptops, though I never had one–and in my opinion, they never really paid off people’s initial excitement about them. 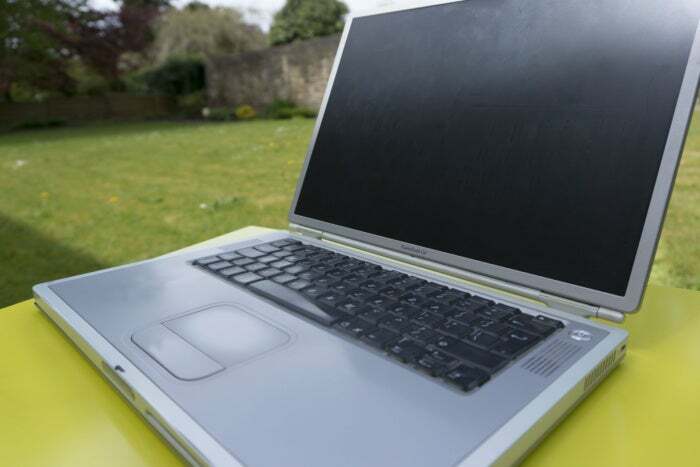 The most interesting laptop of this period was the Duo’s successor, the PowerBook 2400c. It was a 4.4-pound PowerBook that was hard to find, didn’t sell particularly well, but was–like Spinal Tap–big in Japan. After the 2400c was discontinued in the U.S., Apple offered an updated model just for the Japanese market. We had one in the Macworld Lab, and I remember marveling at how small it was. The PowerBooks added PowerPC G3 processors at about the same time that Steve Jobs returned to Apple. The first G3 PowerBook was just a PowerBook 3400c with a different processor. Jobs (and Jonathan Ive) didn’t exert their influence until the true Desktop Invader arrived, the blacker-than-black “Wall Street” PowerBook G3. The PowerBook G3 Wallstreet, still hanging around the Macworld Vault. This was a laptop from a new Apple. The big white Apple logo on the back was the first sign. The rubbery wrapping materials and curved edges were another tip-off. This design persisted through three hardware generations, including the addition of FireWire. I had one of these laptops–they were huge (with a 14-inch diagonal display), but they were incredibly cool looking for the time. Apple’s first real consumer-focused laptop, the iBook, also premiered during this era. 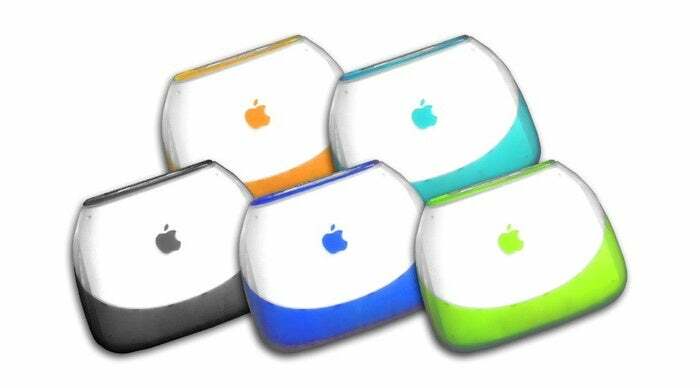 Powered by a G3 processor and wrapped in translucent plastic reminiscent of its desktop cousin the iMac, the original iBook looked a bit like a toilet seat. It was adorable, right down to the flip-out plastic handle. I never owned one, but around this time my parents had sold my childhood home and moved into a motor home, ready to travel all around the country, so I bought a Blueberry iBook for them to use on the road. Today, if you think of a Mac laptop, you probably think of a silver slab with a big Apple logo on it. This is the era where that started. 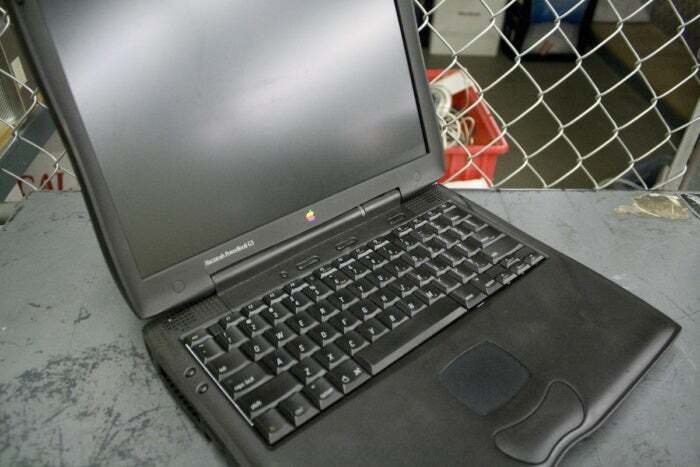 Apple’s first attempt to make the ultimate silver laptop was the Titanium PowerBook G4. It was a mind-blowing product for the time, at just 1 inch thick. I remember this model fondly, because it’s the laptop I used to post the first pictures of my new baby daughter in 2001. A couple of years later as a toddler, my daughter would grab the back of my PowerBook’s display and snap it right off its hinges. Look how delicate that PowerBook G4 Titanium hinge looks! She wasn’t a super-powered baby. Apple learned a lot about materials science from the Titanium PowerBook, including two key points: Titanium was light but brittle (snap!) and that paint flakes pretty easily off of metal. The Titanium PowerBooks looked great when they were new, but they were prone to breakage and their paint got scuffed quite easily. These lessons led Apple to make a decision that it’s still following today: Make laptops out of anodized aluminum. The Aluminum PowerBook G4, introduced in 2003, was a lot larger than today’s models, but it’s still recognizably a modern Mac laptop. I fell in love with the 12-inch version of the PowerBook G4, beginning a love affair with small laptops that continues to this day. Steve Jobs eventually got tired of putting the word “power” on every professional Mac, and Apple’s abandonment of the PowerPC processor was the perfect time to move away from the name PowerBook. And so in 2006, Apple put the 15-year-old PowerBook name–as well as the more recent iBook–out to pasture and replaced them with the MacBook and MacBook Pro. Thus began the Intel era. To be honest, the names and processors changed, but the look of Apple’s laptops largely remained the same. The polycarbonate iBook–a plastic version of the standard Mac laptop design rather than the fanciful original design–morphed into a new Intel-based MacBook. I loved the original 13-inch MacBook, especially the black color variant, and that was my main Mac for a few years. I’d write about pro systems for Macworld and then go back to using a consumer laptop, but the size of that MacBook couldn’t be beat. And it was impossibly easy to replace the hard drive. While the MacBook Pro has continued to be refined, and added a Retina display in 2012, the biggest change in Apple’s approach to laptops came in 2008, when the MacBook Air arrived on the scene. The MacBook Air will be missed. 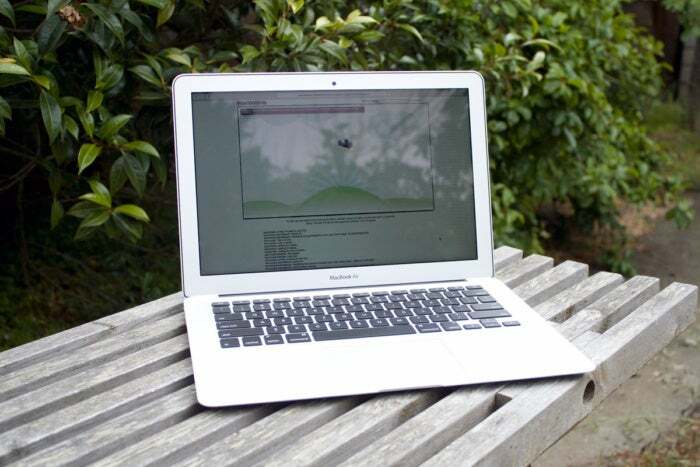 The first MacBook Air was a curiosity, an underpowered (and under-ported) device that was impossibly thin and light. Two years later, Apple’s second crack at the MacBook Air–in 13- and 11-inch variations–turned the curiosity into a legitimate hit. 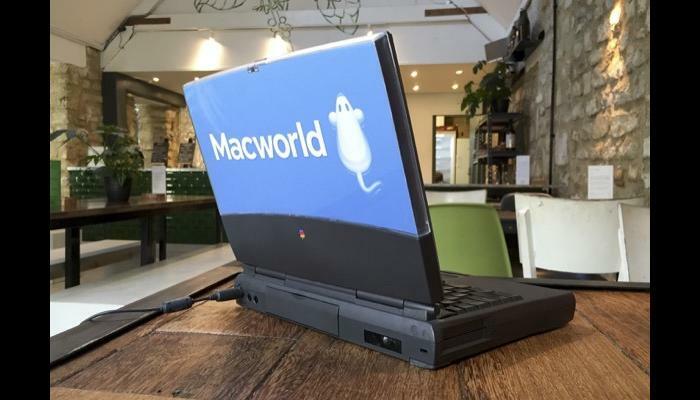 By most accounts, this is the most popular Mac laptop model of the last six years. As a fan of small laptops, I glommed on to the 11-inch Air and still haven’t let go. Later models could be ordered with fairly powerful i7 processors and came with fast SSD storage. My three-year-old MacBook Air is still powerful enough to handle pretty much any task I ask it to perform. Today, the MacBook Air era is coming to an end. The 11-inch model is now only being sold to education markets and the 13-inch model seems unlikely to ever be updated again. But the thin, light Air pointed the way forward for Apple’s entire laptop product line. It definitely feels like the current MacBook and MacBook Pro models belong to a new era, one that’s just beginning. From the introduction of USB-C connectors to the option to get a Mac laptop in a color that’s not silver to the presence of the Touch Bar, Apple’s laptop design is following new rules than it has in the past. The 2016 MacBook comes in four colors. But everything old is new again. 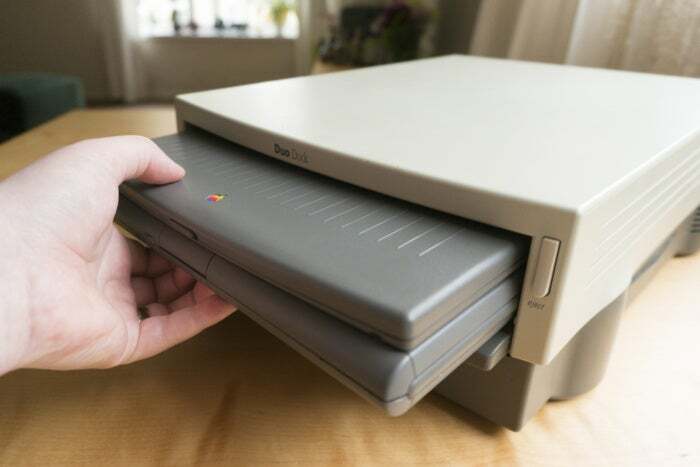 My PowerBook 160 weighed 7 pounds, sported a 25MHz processor, 4MB of RAM, a 40MB hard drive, a modem, a floppy drive, and ADB, Mac serial, and SCSI ports. 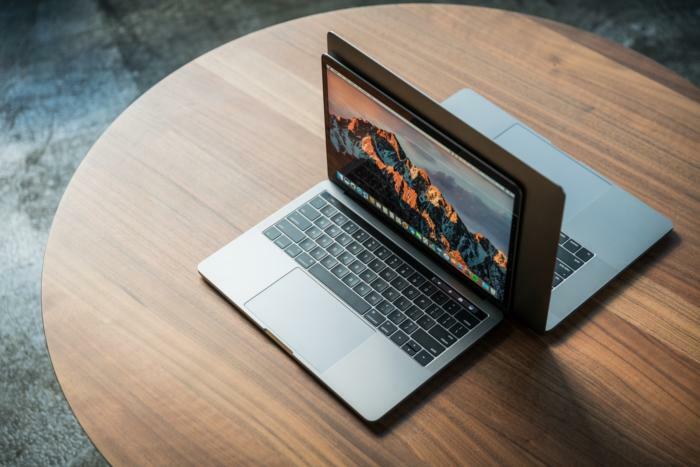 The MacBook weighs 2 pounds, sports a 1.1GHz processor, has 8GB of RAM, 256GB of flash storage, and one USB-C port. Who knows what the future holds?